Action Jackson - Too much of Action and not much of Jackson. A film packed with Hero's whacks and packs, seems as a promotion for Ajay's well built body that too in a double role; one as AJ and the other cracks PJ. Not much scope for the two Heroines even when compared to the intensity of Lady in negative role. And no encouraging music or songs either, one even describing 'Punjabis' as jobless night crawlers. Not sure why such brutality needs to be shown and how come it passes Censor to reach people in town. Pathetic screenplay and it raises a question on the credibility of recent 'Choreographers turned Directors' again. As the tagline of the movie goes - It is 'No commitment, no entertainment... only punishment' for the viewers. 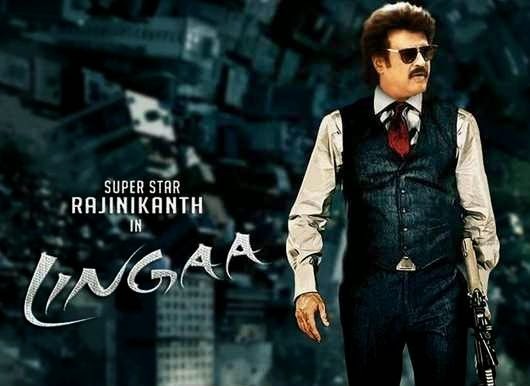 Lingaa - Rajinikanth wanted to do it all in one movie, at one go since he may be reaching his twilight in career. There are stunts like; action on a moving train, fight in a gas balloon, airborne fight sequences, front and back tyre free-wheeling on a bike, longing romance, song and dance, cheesy comedy, sleazy parody, addressing social elements such as - girl education, social equality, untouchability, independence movement, self-sustainability and many more latest acts. And this obviously made it lengthy, less strengthy, a bit flimsy, partly clumsy. However, it is a Superstar movie released for the first time on his birthday who defied death in reel and real life too. A richly made and costly paid effort, may be worth a court. What's next...? May be this hero pairing up with a heroine who is a daughter of another legendary actor of his time. Till then, this adds to his fame.